Zaha Hadid is a winner of many international competitions, theoretically influential and ground breaking. 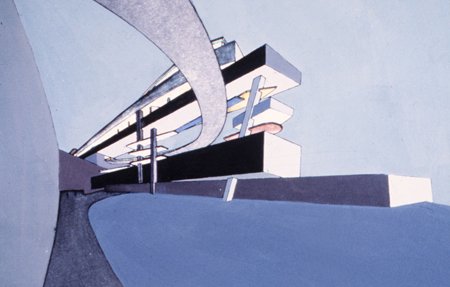 A number of Hadid’s winning designs were initially never built. The Peak Club in Hong Kong (1983) shown in this post is one of them. Hadid‘s Process of Exploring through Painting is Inspiring…. But what are Zaha Hadid’s Inspiration Sources? 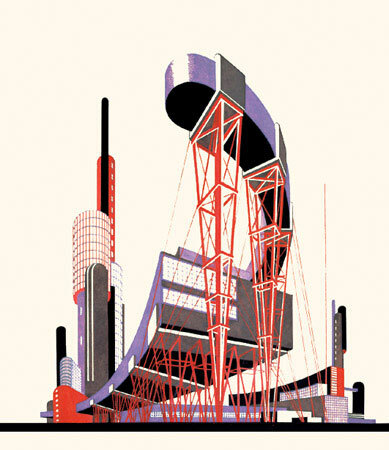 The image shown below is Chernikhov’s futuristic building, Demonstrating his search for the forms and images of new architecture. 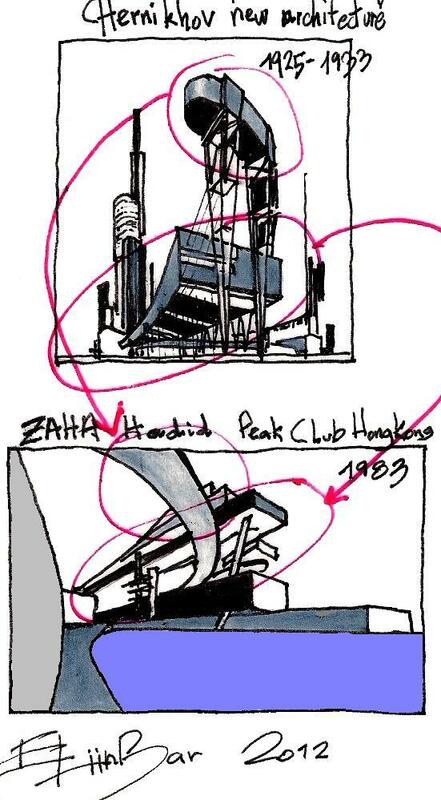 Could it be that Chernikhov’s image, is Zaha Hadid’s Inspiration source for the Peak Club design? Zaha Hadid’s projects hover and float, animated by the same visionary power that marked the ground–breaking Constructivist structures that Vladimir Tatlin, El Lissitzky, Moisei Ginzburg and Chernikhov imagined…. 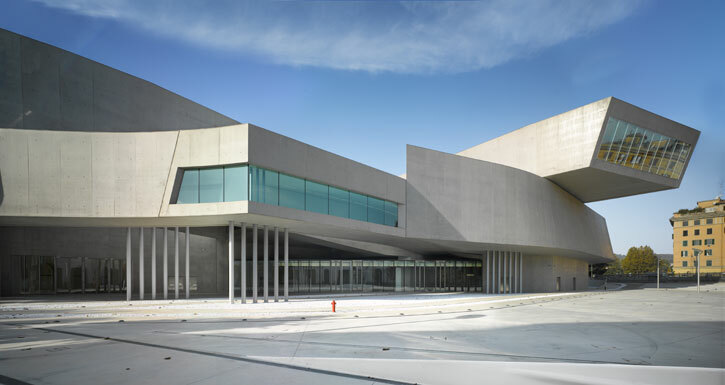 What do you say about Zaha hadid’s MAXXI National Museum of XXI Century Arts floating structure, shown in the image below ? Can you imagine what are its origins (“Inspiration Sources”)? You are invited to visit my previous posts showing talented architects getting inspired by the Russian Constructivist imaginary images of futuristic buildings. This entry was posted on February 16, 2012 at 12:20 pm and is filed under buildings, public buildings with tags Architectural Fantasies, Chernikhov, CONSCIOUS INSPARATION PAGE, Conscious Inspiration, Conscious Inspiration Method, eliinbar Sketches 2012, floating Inspiration, inspiration Source, inspiration sources, Peak Club, Zaha Hadid. You can follow any responses to this entry through the RSS 2.0 feed. You can leave a response, or trackback from your own site.